We’ve got more and more members from all over the world and in 2008 we started a cooperation with the ISWC and PKRA, the professional speedsurfers and kitesurfers association. 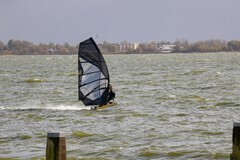 On a daily base many riders from all over the world are posting windsurf and kitesurf sessions. We’ve got a minimum number of rules to ensure fair races and we’re proud to say up till now we didn’t have a single rider that willingly posted falsified speeds. Timekeepers are installed to ensure fair races. All over the world people are looking for the best venue. Sandy Point-Australia, Walvis Bay-Namibia, Southend-England, Les Saintes Marie de la Mer-France, the Brace-Holland, are just a few examples of fast spots now in use. But apart from going extremely fast at super flat venues this website is also and even mainly about fighting it out on the water with a sailing friend, or yourself. GPS is a help to improve your sailing skills. You will notice immediately that you will go faster or slower when changing something about your gear or sailingstyle. GPS will also help you to get in contact with many people from all over the world sharing the same interest. If you like to go fast be welcome and join the fun. We publish new website functions as soon as we have the core scenarios nailed and ship the bug fixes to web gradually after that. We rely on user feedback, the faster we get your feedback the better. The basic principle behind this approach is that ideas can sound great on paper but in practice turn out to be suboptimal. The sooner we publish new features, the sooner we will find out about fundamental issues that are wrong with an idea we had before. The following people are currently involved in the day to day operations of GPS-Speedsurfing. Jan Hendrik joined the team in 2015 to support GP3S with his brought experience in PR and organisation skills. Since 2004 involved with GPS-Speedsurfing. He is the tech guy who develops and maintains the website. The advisor have a crucial role for GP3S and help the team with tech related questions. Martin is the founder of the GPS-Speedsurfing concept and has proved himself as a real visionary. He was the first rider ever on gps-speedsurfing to break the magic 50knots barrier with a max-speed of 50.37 knots (2 seconds). He is currently involved as an strategic advisor for the GP3S team. Andrew was one of the first speed surfers from Australia who joined GPS-Speedsurfing. His great knowledge form GPS devices and measurements helped GPS-Speedsurfing to evolve to an accurate measurement system. He is currently the chairman of the GP3S tech group. Manfred has been a great contributor for GP3S with his outstanding knowledge. He is one of the persons who are making the whole gps speed revolution so much easier, by providing gps-results. This gps analysing software and the PRO version is used to organizing almost all gps speed competitions. The timing crew has a crucial role in running and timing events. 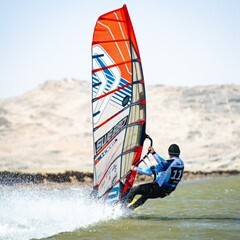 Wessel has been an active speed surfer since the age of 14. His physics background and experience with large windsurfing events brought him to the GPS-Speedsurfing timing team. Ruben was an active speedsurfer from 2008 till 2012, aside from his affection for speed surfing he also helped organizing several local surf events. From 2012 onwards, he focused on his study Artificial Intelligence. With his knowledge of software and his experience in speed surfing he is now helping GP3S with timing of big events. The following people have been involved in the GPS-Speedsurfing team. 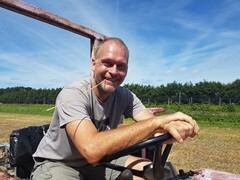 Roger was involved from the start till 2014. Together with Martin he defined the GPS race format, so one of the true founders of the concept. He was a great race leader for the USM series from 2004 till 2012. In 2008 Walther helped us to develop a new web site for GPS-Speedsurfing. With his passion for windsurfing combined with his great coding skills Walther spent many evenings and nights in the project. 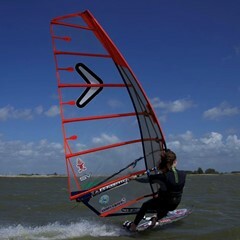 Onno created the first version of GPS-Speedsurfing website and set the standard. He was involved form 2004 till 2008. Peter was involved from the start till 2008. He was responsible for communications.